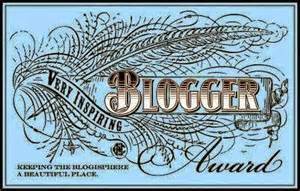 Day 6 – National Blog Posting Month. All day my eye was bothering me. Between patients I’d go to the bathroom with a saline spray and remove my contact lens to clean it. My eye would feel better after a while but then the irritation would return. It felt like a grain of sand or dust was in my eye. I thought I might be getting a stye. By the end of the day I felt like scratching my eye out. I had some fluorescein stain at home so I put a few drops in my eye and used the blue light of my ophthalmoscope to look at my eye. Yellow and blue make green. 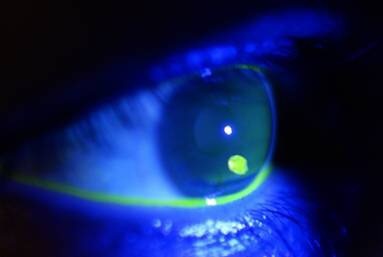 A corneal scratch or abrasion will light up green. I was a little surprised to actually see that I indeed had a few scratches on my cornea. Suddenly the pain got worse (psychosomatic?). I called for my two older kids to come to the bathroom so I could show them. Needless to say they thought it was pretty cool. I had to wear my glasses for the rest of the evening. They have lenses from 2006. They haven’t been updated and my eyes have gotten worse. I really need to get the lenses updated. Corneal abrasions hurt. Wow. Do they ever hurt. I woke up with a brutal migraine today and I still want to scratch my eye out. It’s going to be a great day.